in the last couple days, we've been panic buying—not for supplies needed during the holy-week shutdown, but for pasalubongs for relatives who live where we're going. and four of them are little girls aged 10, 8, 6, and 4. and shopping for kids is not our strongest suit, so we had to seek advice. 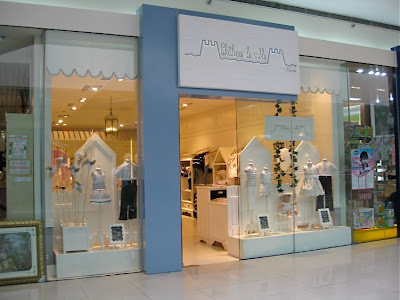 we had never heard of this children's clothing boutique called château de sable in mall of asia till its PR told us about it. so we decided to check it out the day before the shock value tour concert (i.e., timbaland, timberlake, jojo). 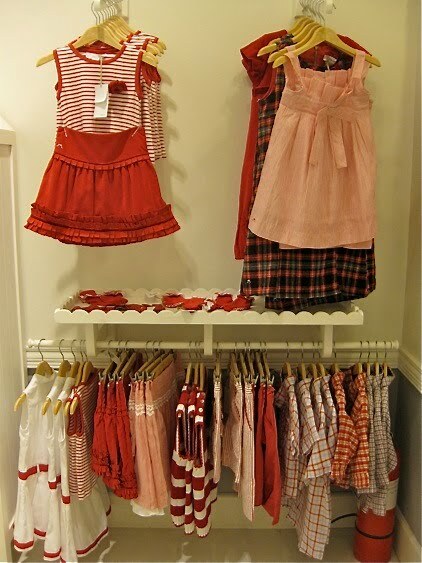 the clothes are so adorable! they have separates—tops, pants, skirts, shorts, dresses—for girls and boys aged three months to 12 years old. 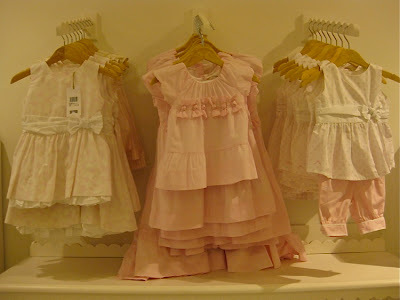 and they're not all cutesy-patootsy with ruffles and puff sleeves and peter-pan collars. 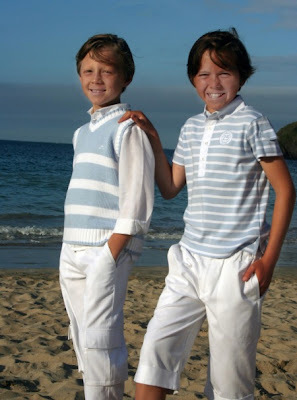 they're actually quite chic. (at mukhang pang mayaman!) the clothes were displayed according to color theme to make it easier for customers to pick and choose. we asked the salesperson where the brand is from and she said singapore. hmmm that didn't seem right, so we did a little googling. Château de Sable was founded by Stephanie Lemaire in 2002 with a vision of creating children clothes and accessories that are dedicated to quality and details. 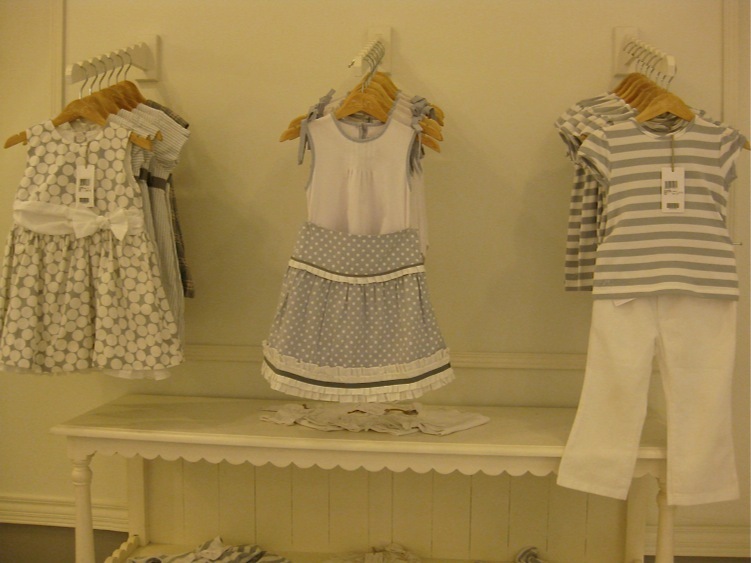 With her 10 years experience with children ready to wear line in France, Stephanie has been able to combine the creative French tradition of design and comfort with modern excellence. Taking more inspiration from the playfulness of the children, as Château de Sable means sandcastle in French, the favorite activity of children along the French Riviera, her designs cater to kids age from three months to 12 years old. 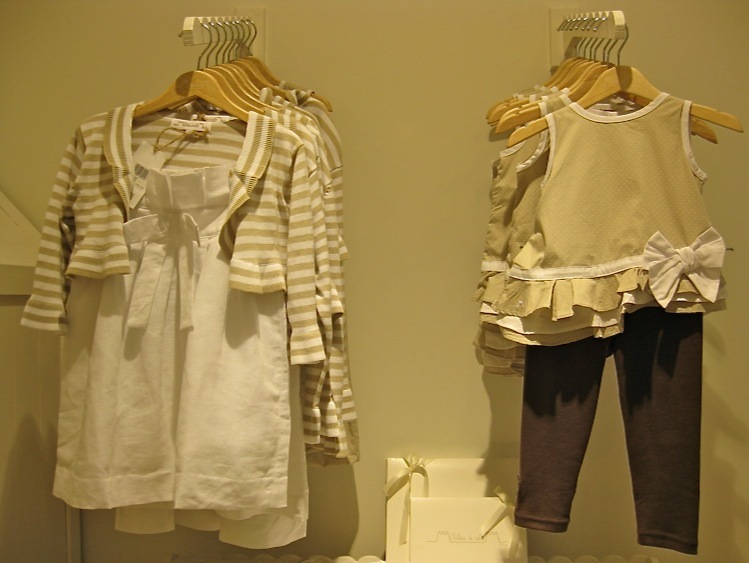 Lightweight and made from organic cotton, clothes from Château de Sable guarantee not only child-friendly clothes but also safe for the environment. definitely on the high side. let's just say they're like adult prices. the sleeveless cotton-knit tops we bought were P898 each!